"GILES" has sold tens of thousands of open edition prints through Wayfair, Amazon, Overstock and Art.com. NETFLIX used "GILES" in the series "GRACE AND FRANKIE" starring Jane Fonda and Lily Tomlin, episode 4. Limited Editions of 50 each on archival canvas with archival inks. Limited Edition Giclée on canvas, hand-embellished on hand-painted gold background. 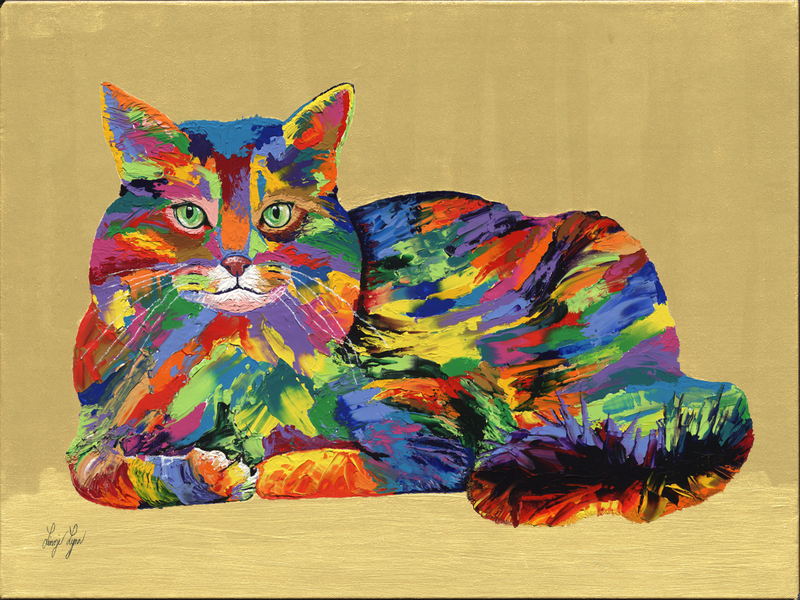 Limited Edition Giclée on canvas, hand-embellished on hand-painted gold background. Comes with a white museum floating frame.